I agree with swearinger saying the league wants you to go low, but swearinger is passing the buck. If he went low because the league told him so, he's a coward If he went low to make a tackle, then ok. However I dont think it was a cheap shot at all. He didn't hit him in the head, he didn't lead with the helmet he used his shoulder pad. Keller is much bigger and so he went low to take him down. These sorts of things happen in a contact sport. The league doesn't want hits to the helmet. There is a lot of space to hit between the helmet and the knees. Except the league doesn't want you to go. It is supposed to be a penalty if you attack a guy's knee (and not just the quarterback). They want you to hit a guy in the chest. Not a cheap shot, but there was a different way to go. He did not make that tackle with intent to injure. This is the NFL , this sort of stuff happens. Like they were saying on the radio (even locally) it was a bang , bang play. Let them look into the rules , they made them , its their bed. This wont be the last time something like this happens. "I was making a hit playing football. In this league, you've got to go low. If you go high, you're going to get a fine," ............. "I'm sorry that happened. I would think you'd rather have more concussions than leg injuries. Leg injury, you can't come back from that. A concussion, you be back in a couple of weeks." Are we forgetting people have torsos? It's located between the head and the knees. I agree it was unlucky but I just think had he known the outcome before he made the play he would have chose differently. He went low because in his mind the rules dictated that. Like I said I do not think there was a intent to injure. 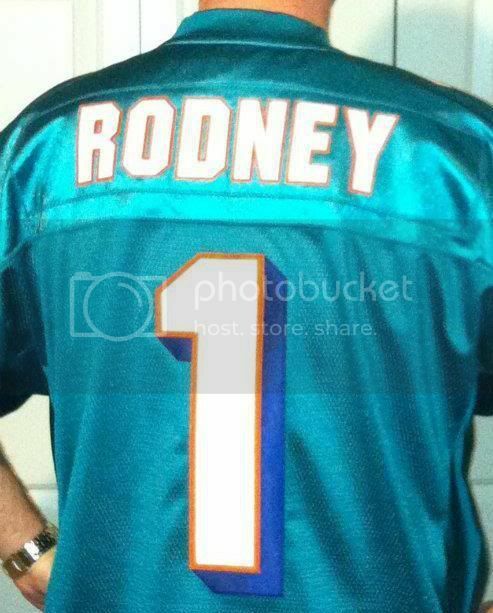 There is also the Dolphin factor .... if this was not our guy we would not be in such an uproar. It was just an unfortunate event ... now the Incognito play , had intent. Big difference between the 2 plays. This seems to be a tough offseason for receivers. I come from the opinion that the Texans defender did not intentionally try to disable Keller. This is the NFL and injury shots to the knee unfortunately happen each and every year. It just stinks when it happens to ANYONE let alone one of the key Miami Dolphin players. Yes, but a 200 lbs defensive back isn't going to go torso to torso with a 250 lbs tight end. Many defensive coordinators teach defensive backs to submarine bigger players. I don't think he intended to injure Keller but the guy has his back turned and you put a helmet on his knee? Does it take a rocket scientist to figure out that isn't going to be a good outcome? Like Hartline said, there's no place for this in the NFL and I agree. He could've also hit him around the waist area or mid thigh, then wrapped then made a tackle. BTW, whoever said he wasn't leading with the crown needs to go take another look. It seems like all this could be avoided if proper tackling were addressed. C'mon... that's the ultimate biatch play going for a guys knee... i know he's trying to make a play, but Keller literally wasn't even looking at him... he could have drilled him in the side and easily made the same impact. It wasn't the crown of the helmet that hit his knee. It was the side of the helmet. And the reason the leg bent the way it did is because Keller had just planted to make a football move. Cleats get caught in the turf and the leg is hooked and bends the wrong way. Except that many defensive coordinators are teaching players, especially DBs to go low against bigger guys. There is a 40-50 lbs difference between Swearinger and Keller. If Adrian Peterson is running right at you, you do not go high or into his torso and try to stand him up, you try to submarine him, get him off his feet. in the short amount of time a player has to make a tackle on someone they aren't thinking "Gotta hit him in the chest to prevent injury" it's making that split second decision to commit to a part of the body to go after and hit it hoping to make a tackle. I don't think it was a cheap shot or an intent to injure situation. All the things that could add up for Keller to get hurt sadly did. Foot planting, trying to move and then getting hit by a guy making a tackle. We're more frustrated with it because it was one of our guys. I think you guys are forgetting the type of play. This is a lot like linemen on a kickoff who are looking to block guys...submarine them and its a penalty...ask yourself why. The flat pass is the same sort of play. One guy has a full head of steam and the other is a sitting duck. You see guys tackle through guys on plays like this trying to jar the ball loose. That's what should've happened here. Again, it doesn't take a mensa candidate to know that you go low on a big guy you could end his career. He CHOSE to go low. Where in the rules does it state that going low on a tackle is a penalty? Defensive backs are being coached to go low on bigger players. Yes, he chose to go low and it happens all the time in the NFL. But because it ended the season for one of our players, some people are up in arms about it and want to call it a dirty play. Where are your bleeding hearts for all of the other players that are tackled low multiple times in every single football game? I agree... but I think in this instance it wasn't at all necessary. There is a difference between "going low" and hitting a guy in the knee. If you square up and hit a guy in the thigh, you can take the guy down. Leverage nullifies weight differential. I could have sworn that there was a rule about hitting a defenseless receiver in the knee, but after reading the entirety of the NFL Rulebook, I can't find it. My bad. if a player illegally launches into a defenseless opponent. It is an illegal launch if a player (1) leaves both feet prior to contact to spring forward and upward into his opponent, and (2) uses any part of his helmet (including the top/crown and forehead/”hairline” parts) to initiate forcible contact against any part of his opponent’s body. Note: This does not apply to contact against a runner, unless the runner is still considered to be a defenseless player, as defined in Rule 12, Section 2, Article 9. Penalty: For unnecessary roughness: Loss of 15 yards. So did he leave his feet and launch himself into Keller and was any part of the helmet involved and was he defenseless? Seems like all 3 have to be present? The player may be disqualified if the action is judged by the official(s) to be flagrant. Note: If in doubt about a roughness call or potentially dangerous tactics, the covering official(s) should always call unnecessary roughness. Third-and-20 on A30. Runner A1 runs to the A33, where he is tackled by B1, who hooks his fingers under the front of the runner’s helmet, but not his facemask, and forcibly twists his head. Ruling: 15 yards for unnecessary roughness. It is an automatic first down. A’s ball first-and-10 on A48. approaches the opponent from behind or from the side. the helmet against any part of the defenseless player’s body. So here it would seem was the top/crown or forehead/hairline parts of the helmet used and was Keller defenseless? Incidental contact of helmet not counted. You can't block someone below the knees, because it is dangerous, but you can launch your body into their knees? I'm pretty sure in the old days, if you hit a guy like that, it was considered dirty, and you pretty much had to run for your life because the rest of the team was coming after you. Well a few more legal plays like this and going low will probably be banned also. So go for middle? Then if there is something unforeseen like increase of cracked vertebrae or maybe to many missed tackles or whatever they can just rewrite the rules for defenseless players as a tackle is not necessary but a two handed touch supported by video evidence will be enough. Is the game fundamentally changing? Keller fits the definition of a "defenseless receiver", but from what I saw Swearinger didn't launch himself into Keller's knee, nor did he hit him with the crown of his helmet. You can't look at that play and tell me hte helmet didn't hit Keller's knee. Was his head up...no ... so yes by the letter of the law its not the crown. This is the problem when geeks put rules in place who have never strapped on a set of pads. If the intent is the protect the player and not just enforce some assinine rule, then let the players union decided what an illegal hit is. The very fact Swearinger had his entire body parallel to the ground, 1 foot from the ground, indicated his intent to be a human missle on Kellers lower body with a high possibility to put him out of the game. It'll change the second that it happens in NE. I completely agree with you. The rule absolutely needs to be changed. You can't get on your soapbox about player safety and simultaneously allow hits like this to happen without being heavily penalized. Either admit that you only care about CERTAIN players safety, or ban the hit across the board, not just on the Quarterback. It's time man-up Roger. Yeah D.J. Swearinger is evil incarnate. In that split second, all he could do was salivate at the thought that he was about to end the season for a guy he doesn't know. It's amazing how in that split second he calculate just the angle to take to cause the most damage possible. It may even be that before the game, he played out this scenario knowing this would happen and he'd have the opportunity to tear some ligaments. It's completely and entirely impossible that he was simply reacting to a play in front of him and realized he was going to be tackling a guy that is considerably bigger than him and he would probably fail if he did it straight up. I know because I'm telepathic. Who is saying that Swearinger is evil incarnate? He made a split second decision, and decided to make a choice that ended up ending the season, and possibly career, of another player. It was a bad decision, he should not have gone that low. Again, you can go low without hitting a guy in the knees. If you square up and hit a guy in the waist or thigh, you can bring the guy down, even having a considerable weight disadvantage. Nobody knows his motivations other than Swearinger. All I can do is judge his actions. He made a conscious decision to go really low on a defenseless guy. I've seen countless hyperextended knees, blown out knees etc from that type of play. Do you think he does that in practice? If not, why not if its just football? Monday Moring Qbing & fence jumping at its best. If a Miami defender does this to Owen Daniels then everyone blasting Swearinger is defending the Miami defender. This post is spot on ... even the telepathic part. IMO, I don't think it was a dirty hit, it's football, crap happens. I agree with the poster that said if it was reversed, the posts would be reversed. Rich is not telepathic, he can't read my mind when he responds to me, he's wrong. Football & knees have NEVER went together & they NEVER will. Last edited by Dphins4me on Thu Aug 22, 2013 10:54 pm, edited 1 time in total.